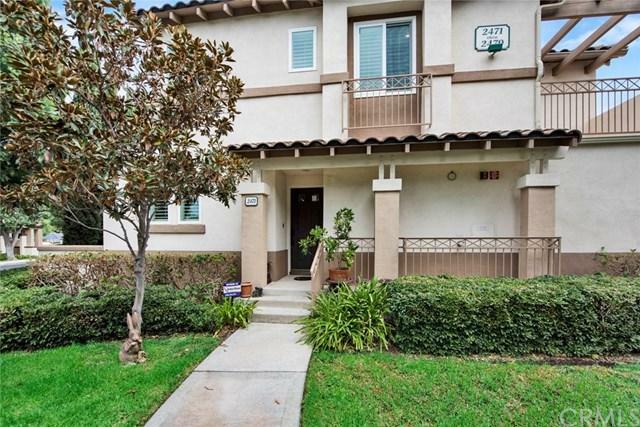 Welcome to 2471 Sunningdale Dr, an Immaculate Two Bedroom, Two and a Half Bath Townhome in the Orchards Community of Tustin Ranch. This Desirable End Unit Includes a Private Outdoor Patio, Brilliant Open Floor Plan Featuring a Kitchen, Dining Area, and Family Room. Step into the Remodeled Kitchen with Custom Cabinets, Granite Counters, Built-In Oven, Cooktop with Hood, Plus Ample Counter and Cabinet Space. The Family Room with Fireplace Opens to the Kitchen and Dining Area with French Doors to the Patio. 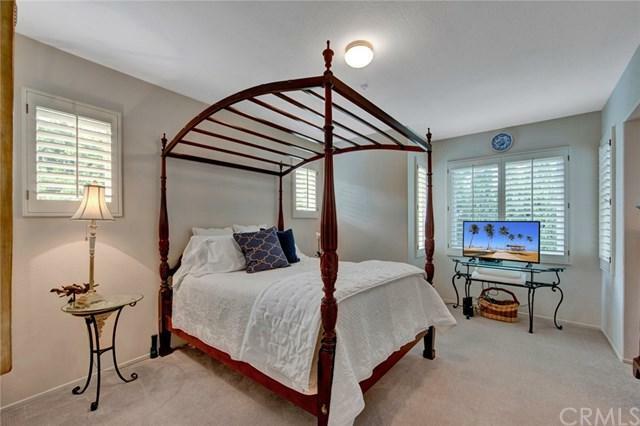 Welcome to 2471 Sunningdale Dr, an Immaculate Two Bedroom, Two and a Half Bath Townhome in the Orchards Community of Tustin Ranch. This Desirable End Unit Includes a Private Outdoor Patio, Brilliant Open Floor Plan Featuring a Kitchen, Dining Area, and Family Room. 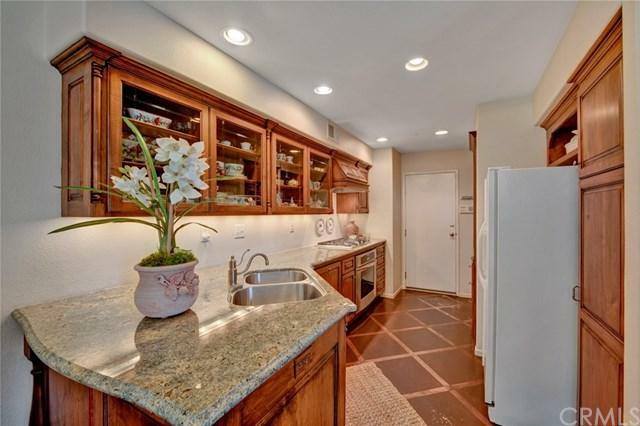 Step into the Remodeled Kitchen with Custom Cabinets, Granite Counters, Built-In Oven, Cooktop with Hood, Plus Ample Counter and Cabinet Space. 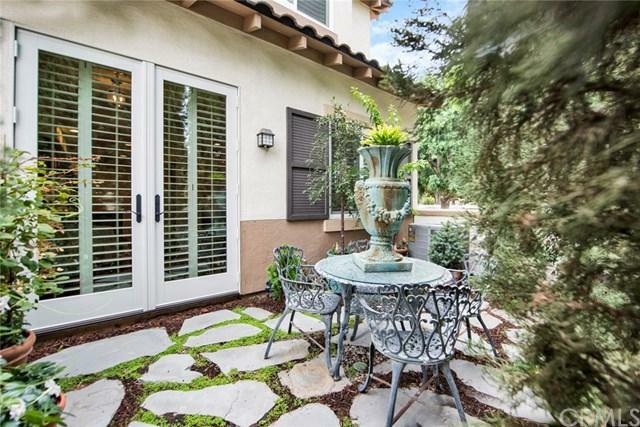 The Family Room with Fireplace Opens to the Kitchen and Dining Area with French Doors to the Patio. The Master Bedroom Enjoys an Attached Master Bathroom with Dual Vanities and a Walk-In Closet with Custom Built-In Cabinets. The Secondary Bedroom Boasts a Private Bathroom and Attached Balcony. The Laundry is Conveniently Located Upstairs. Additional Upgrades Include: Dual Pane Windows, Plantation Shutters, New Carpet, New Bathroom Flooring Upstairs, Upgraded A/C Unit and Newer Furnace. Two Car Garage with Direct Access. The Orchards Community Includes Access to a Wonderful Park as well as a Resort Style Pool & Spa. This Home is Walking Distance to Shopping, Dining, Movie Theaters, and More at the Market Place. Multiple Parks, Trails, and the Irvine Bike Path Nearby. Easy Access to the 5/55 Freeways and 241/261 Toll Roads. Award Winning Tustin Unified Schools. 2471 Sunningdale Dr is a Must See!